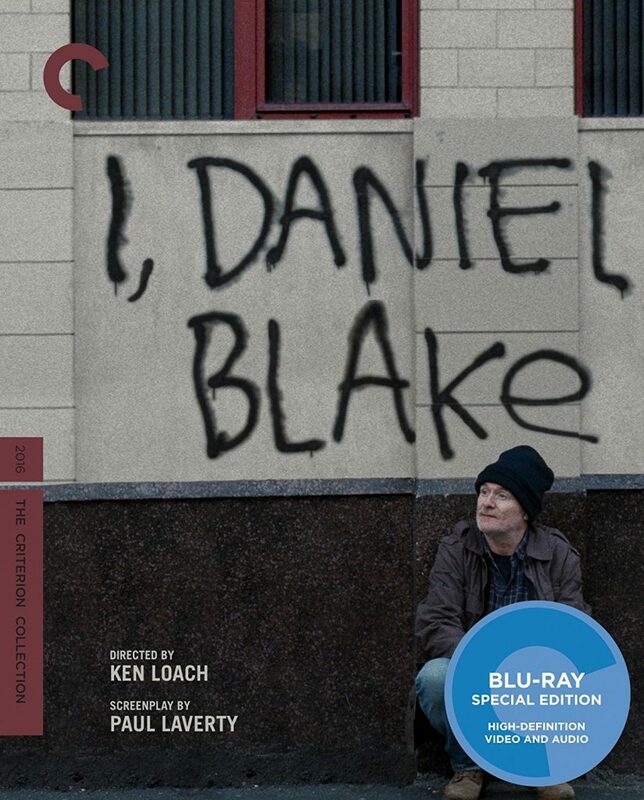 Criterion Blu-ray Review: ‘I, Daniel Blake’! For more than 50 years, Ken Loach (KES) has been making films that cause us to think about our current political and social climates, no matter what race your are or where you come from, because a lot of us suffer from the same overall issues, whether it be medically, financially, or a corrupt government. Loach has never been shy to show any of these topics in his films over the years as well as in real life interviews. 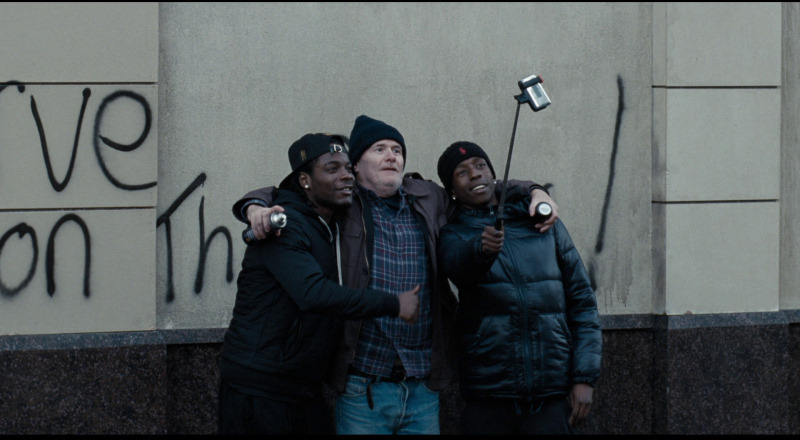 If you’ve ever attended a screening a film festival or movie where Loach is the director behind the movie, you will immediately know what you’re in for, which is usually a story of someone being beat by the system, despite all of the honest and good things they do. His film I, Daniel Blake is no different, which isn’t a bad thing. It’s won a ton of awards and even won the Palme d’Or award at the 2016 Cannes Film Festival. 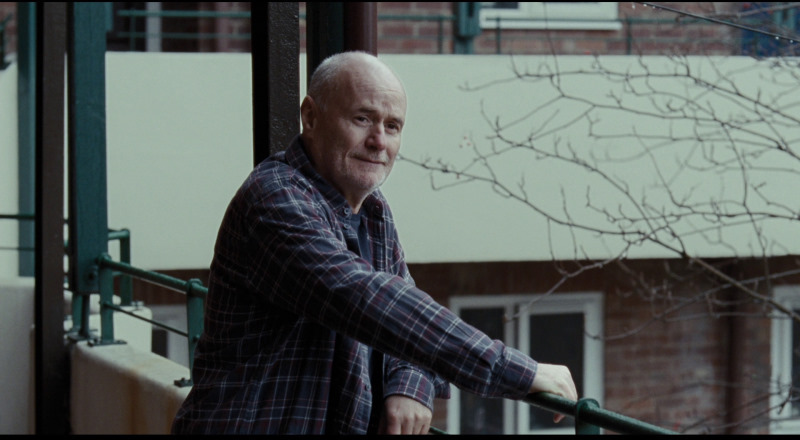 The movie follows a fifty-something man named Daniel Blake who is a skilled carpenter, but is out of work due to having a heart attack. After his recovery, his doctors say he is not ready to go back to work yet, but the job assessment people say otherwise. This puts Daniel in a bad situation as employers won’t hire him, because his doctors say he’s unfit, but others have checked him as cleared, which leads to Daniel not getting a job and zero government assistance due to a clerical error. As he tries to fix this situation, Loach shows us the frustrating and sometimes funny series of events in trying to fix a bureaucratic mishap by being put on hold for hours on end or someone who is up there in years, trying to work a computer. After the few laughs, it really hits home as the underlying message is that we now live in a time where people are not cared for or listened to, but rather treated as cattle with no purpose. It’s a system designed to leave behind the less than fortunate, but honest people. Along the way though, Daniel meets a nice woman named Katie, who has moved from here home with her kids, but is not in a good situation financially or even job-wise. Still, she does what it takes to feed her kids, even if it means she starves for days on end or has to take on other forms of employment that might be illegal. It’s here that we see that despite the rough situations that both Daniel and Katie are in, they are still good human beings and help each other out when they can, because the system certainly won’t. As with most Loach films, things aren’t exactly happy and good feelings. What he does well here is show very realistic characters in very subtle ways with their actions and dialogue. I, Daniel Blake is a fantastic film that flows well with some truly solid performances. It not only shows certain aspects of everyday life perfectly, but also makes them relevant an connects us to one another. There are moments where things can be a bit preachy and could wander into cliche territory, but it doesn’t kill the film, due to the simplistic nature and heart warming characters that are on screen. No matter how much social or political is thrown out here, the film is still a great work of art. The Video: I, Daniel Blake comes with a 1080p HD transfer and is presented in 1.85:1 aspect ratio. According to the Criterion booklet, this digital transfer was supervised by Ken Loach himself and was created in 2K resolution from the 35mm original camera negative. The image is excellent and true to its original form. Colors are somewhat subdued in the gloomy weather above of gray and silver clouds with some light fog here and there. Interior shots don’t boast a ton of color either, but that’s a stylistic choice and not a transfer issue. Some of the flannel clothes boast some decent reds and greens, but none of it is very bright. Other buildings have orange and red bricks, which spark up the color palette, but nothing really oozes out deep primaries. Black levels are inky and skin tones are mostly natural, if not a little brighter than normal. Detail is sharp in closeups that reveal the individual short hairs and stubble on Daniel nicely. The bigger seaters and flannel shirts also show the big stitching too in well lit areas. Wider shots have more grain to it and doesn’t come off as sharp as the closeups, but still makes for a good filmic presentation here. The Audio: This release comes with a lossless DTS-HD MA 5.1 mix and sounds very good, given the type of film it is. Don’t expect big action sequences or anything like that here. This is rather a soft spoken dialogue-driven movie with rare moments of surround noises. In those cases, the sounds of cars driving by or a lot of people talking all sound great with good directionality. Other moments inside office buildings or apartments make use of the rears with decent ambient sounds, but nothing is robust really. The score comes in and out and plays softly, while the dialogue is the main focus here and is cleanly presented without any pops, cracks, hiss, or shrills. Audio Commentary – Director Ken Loach and writer Paul Laverty talk about making the film, its underlying themes and messages, with a ton of talk on the real life stories that inspired the film. Versus: The Life and Films of Ken Loach (HD, 94 Mins.) – A lengthy documentary on the life and work of Ken Loach with interviews with the director and others. Clips from various films and on set footage of I, Daniel Blake are seen as well. If you’re a fan of the filmmaker or want to know more about him, then give this a watch. How to Make a Ken Loach Film (HD, 38 Mins.) – An excellent behind the scenes featurette on the making of the film with tons of interviews and on set footage. Deleted Scenes (HD, 8 Mins.) – There are a few scenes here that don’t add much to the story, but give us some additional character development. Criterion Booklet – A fully illustrated booklet with cast and crew information, technical aspects, and an essay by Girish Shambus. 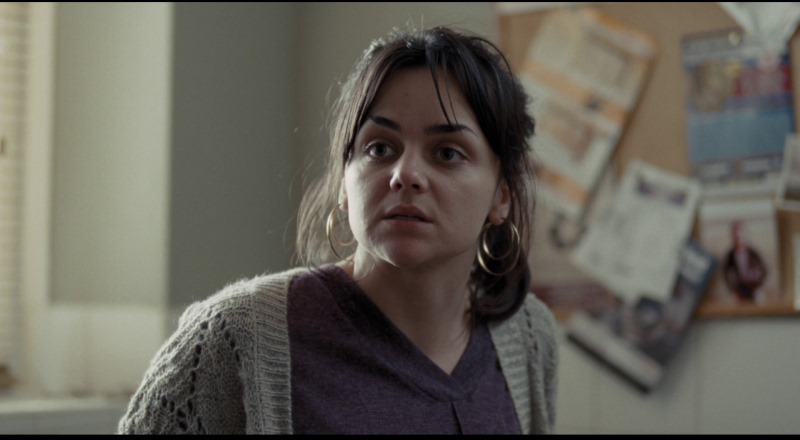 I, Daniel Blake is an excellent film that follows to amazing characters, who you root for, but are forgotten and let down by the government system that is supposed to take care of them. Ken Loach always brings the emotion with great characters and story while telling a sometimes preachy message. Still, the film hits all of the high notes. Criterion’s video and audio presentations are both good, yet subtle and the extras are excellent and worth your time for sure. Criterion has knocked it out of the park for sure here with this recent release. Highly Recommended! This entry was posted on Tuesday, January 23rd, 2018 at 6:34 pm	and is filed under Film, News. You can follow any responses to this entry through the RSS 2.0 feed. You can skip to the end and leave a response. Pinging is currently not allowed. « I’ve got an “INCREDIBLE” update for you!! !